Focus on the job you enjoy and simplify the less compelling – but crucial – form completion. 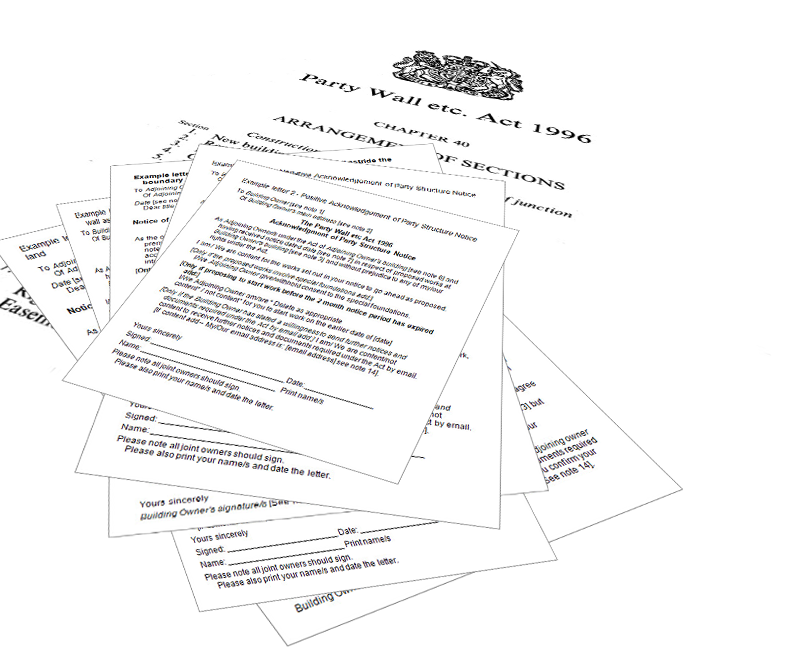 Accurately prepared documents are essential to the Party Wall etc. Act 1996. They can also be notoriously time-consuming to complete. Copy, paste or mail merge templates to replicate owner names & addresses may seem like a solution. But the repetitiveness and accuracy of what is required – in particular when there are a number of adjoining properties – can take many hours. Time is money. And it’s a laborious task to do. 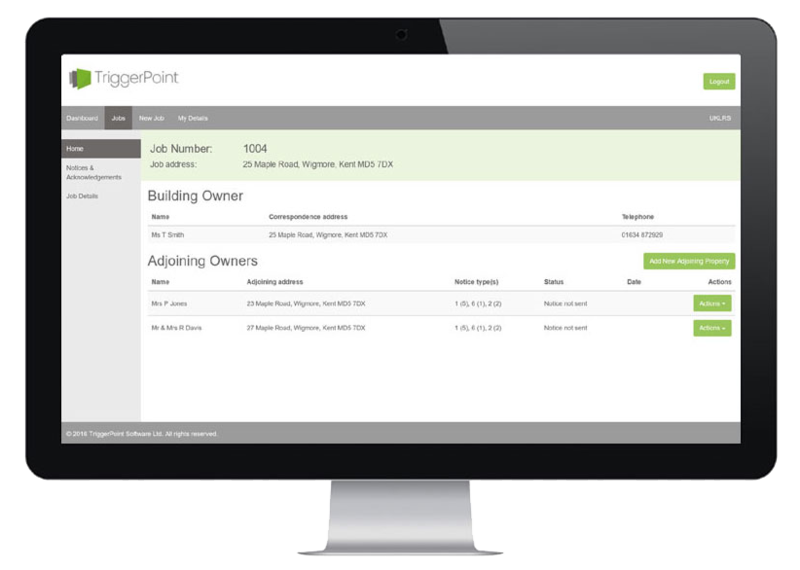 TriggerPoint Software provides fast, accurate, detailed completion of party wall documentation – in minutes. Time is minimized using one single entry of building & owner details. This information automatically populates across Notices, Acknowledgements, cover letters and numerous other essential documents including the Party Wall awards. Adding multiple adjoining properties takes just minutes to complete. An address selection system populates the details across all necessary documentation. No laborious copy and pasting needed. The at-a-glance customer dashboard gives you instant control over project progress. Just one click will prepare the next stage or reminder documentation ready to send. But why change what you always do – if it works? It is a rare industry that doesn’t explore how it can improve efficiency and profitability. And no professional can assume their way of doing things is how their industry will always run – habitual practices can soon look outdated in a technically progressive society. Surely, there was a way to transform a time-consuming but essential process in our industry? TriggerPoint Software has required a significant investment and two years rigorous trial and testing. It is a smart, well thought through system that understands how surveyors work – and is already being used by a fast growing number of party wall professionals. Check out the features and try it free for a month to see how it will save you a significant amount of time and guarantee peace of mind with its accuracy of completion.